A doula provides education with information grounded in research. If you are still wondering “should I get a doula?” Consider this! The most important thing a woman needs during labor is continuous emotional and physical support. Before getting into the evidence behind this statement, let’s examine the difference between a nurse, midwife, friend, family member, or patner compared to a doula. First, continuous support means that you have someone by your side at all times, meeting your needs throughout the entire birth process. A doula never leaves your side. Nurses, midwives, and other healthcare personnel have many responsibilities other than you. Aside from helping care for you, the nurse is communicating with your care provider, taking care of other patients, documenting care, and managing of other clinical tasks. A nurse’s support ends when her shift does. The doula only has one obligation the whole time she is with you—and that is YOU! You may have a friend, mother, or partner will be with you continuously, providing support throughout labor and birth. It is important for you, as the birthing woman, to surround yourself with those special friends and family members during the birth process. Your partner is an essential support person for you to have by your side. However, your friends and family will need to use the bathroom, eat, and even sleep. Your family and partner may have limited knowledge about labor and birth, specific comfort measures that can assist you, various medical procedures, or what goes on in a hospital. It may be difficult for your loved ones to coach and guide you through the emotional changes a woman goes through in labor. A doula will not replace the role of family or partner. 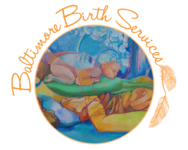 Instead a doula may enhance their involvement by providing both guidance and rest as needed. Likewise, a partner cannot replace a doula. The role of a doula includes taking care of the laboring woman and her partner; doing both jobs is too hard for any one person. Doulas and partners can work together to make up a labor support team. In 2012, Hodnett et al. 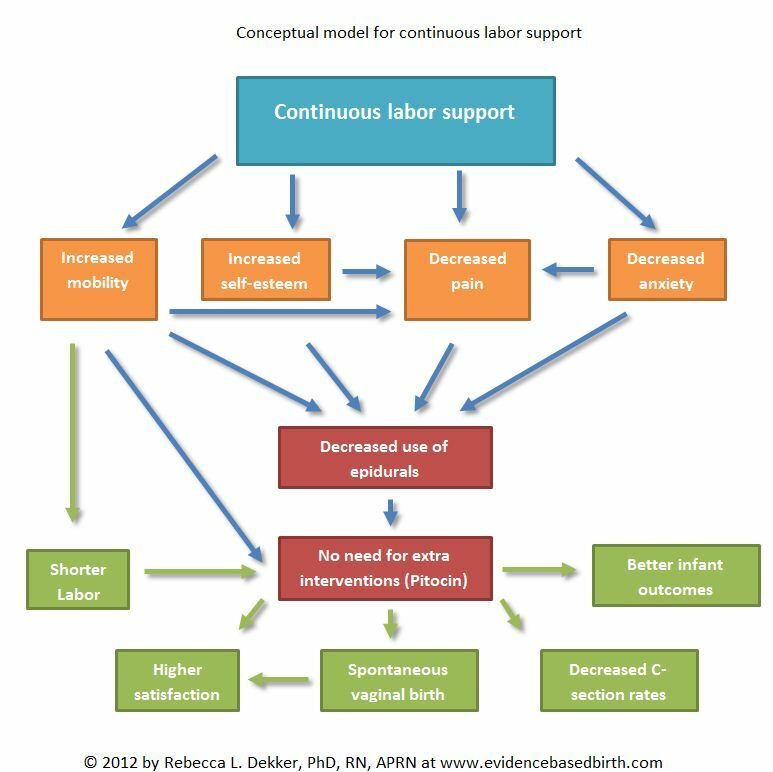 published an updated Cochrane review on the use of continuous support for women during childbirth. In addition to the benefits of continuous support, they also looked at whether the type of support person– nurse, midwife, partner, or doula– made a difference. Based on the results of 22 randomized controlled trials that included more than 15,000 women, the evidence is clear: The most important thing is for women to have continuous labor support from someone. Women who received continuous support were more likely to have spontaneous vaginal birth and less likely to have any pain medication, epidurals, vacuum or forceps-assisted births, cesarean sections, or negative feelings about childbirth. In addition, their labors were shorter by about 40 minutes and their babies were less likely to have low Apgar scores at birth. This means, when equipped with someone who never leaves your side during labor and birth, you and your baby are statistically more likely to have better outcomes! Thinking a doula might be a good fit for you? 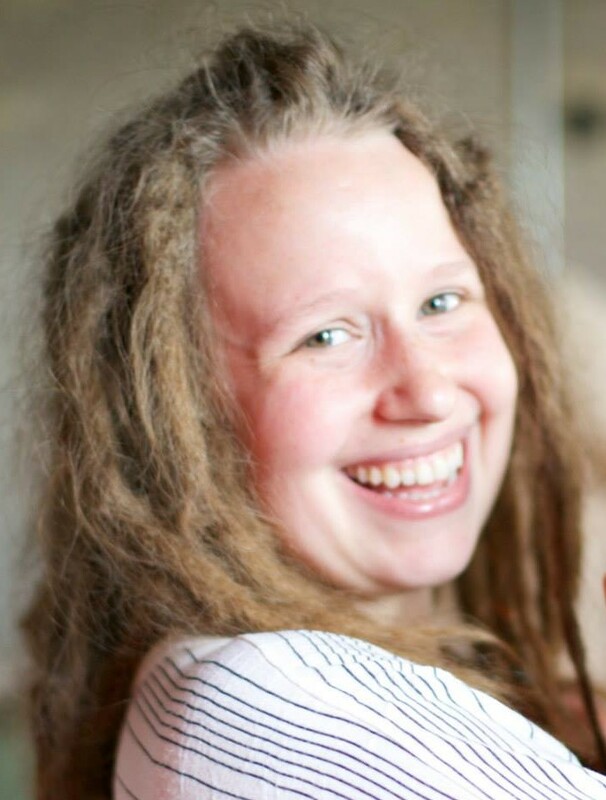 Find out more about me and what I do as your doula. Read more about the benefits of doulas at Evidence Based Birth.